NASCAR served fair warning recently that tampering with race tires would result in a severe penalty. The No. 31 Richard Childress Racing/Caterpillar Chevrolet team was penalized today in the aftermath of a post-race tire audit conducted by NASCAR following the March 22 race at Auto Club Speedway. The P5-level infraction violated the Sections 12.1 of the NASCAR Sprint Cup Series rule book: Actions detrimental to stock car racing and 20.16.A: Any device, modification, or procedure to the tire or wheel, including the valve stem hardware, that is used to release pressure, beyond normal pressure adjustments, from the tire and/or inner shield, will not be permitted. As a result of these violations, crew chief Luke Lambert has been fined a total of $125,000 ($75,000 plus an additional $50,000 for a violation discovered in post-race inspection), suspended from the next six NASCAR Sprint Cup Series Championship races and any non-championship races or special events that occur during that time period, and been placed on NASCAR probation through Dec. 31. The team’s tire technician, James Bender, and team engineer Philip Surgen have been suspended for an identical period and been placed on NASCAR probation through Dec. 31. 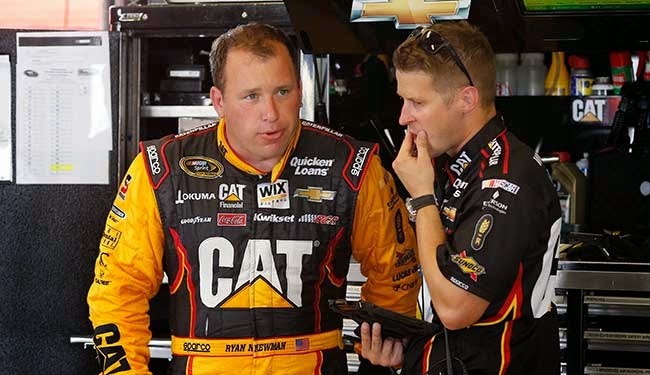 Driver Ryan Newman and car owner Richard Childress each have been penalized with the loss of 75 championship driver and championship car owner points (50 points and an additional 25 for a violation discovered in post-race inspection). Altering of tires, engines and fuel have long been considered part of NASCAR’s “Holy Trinity;” areas of the race car that are absolutely not to be altered in any way. 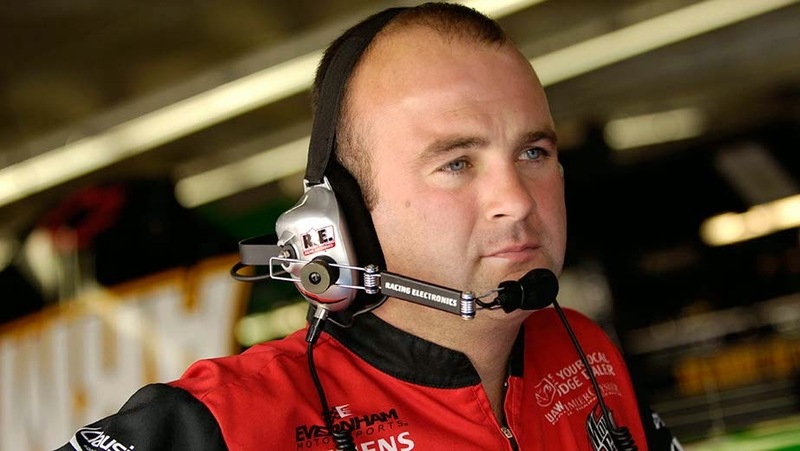 Torrey Galida, President of Richard Childress Racing, commented on the sanctions today, saying, “We understand the seriousness of the penalty. In fact, RCR has been one of the most outspoken opponents against 'tire bleeding' since the rumors began to surface last season. Once NASCAR provides us with the specific details of the infraction we will conduct a further internal investigation, and evaluate our options for an appeal." The Dale Jr. Foundation is offering fans a chance to receive the keys and title to one of Dale Earnhardt Jr.’s own Chevrolets, with the purchase of a $25 ticket in the “Win Dale Jr.’s Ride” raffle. Beginning on April 1, tickets can be purchased at www.windalejrsride.com, with proceeds from the raffle benefitting more than 70 charities supported by TDJF. This year Earnhardt Jr. is raffling off a 2015 Corvette Stringray Z51 Coupe 3LT. The sleek, arctic white Corvette features an array of amenities, including a 6.2-liter V8 engine, eight-speed automatic transmission with paddle shift and Chevrolet MyLink audio system with navigation. Limited to only 8,888 tickets this year, fans can enter the raffle by purchasing a $25 ticket. Fans have until Sept. 30, 2015, to purchase tickets or until all 8,888 tickets have been distributed. The winner will be notified on Oct. 1, and a date will be determined to have Earnhardt Jr. personally hand over the keys in a private meet-and-greet at JR Motorsports. TDJF will also cover all taxes associated with the vehicle. This marks the fifth consecutive year for the “Win Dale Jr.’s Ride” raffle. Since the program’s debut in 2011, it has raised more than $784,000 in support of TDJF’s mission, which is to give underprivileged individuals, with a focus on youth, the resources to improve their confidence and education, and the opportunity to achieve extraordinary goals. TDJF will also choose two additional winners to receive runner-up prizes. Top runner-up will receive a trip for two to a 2016 NASCAR XFINITY Series event of their choosing. The weekend package includes pit and garage passes, tours of the team’s hauler and pit box, as well as a VIP gift bag. All travel expenses up to $600 will be covered. An additional third prize will reward one fan and a guest with pit and garage access at the NASCAR XFINITY Series event at Charlotte Motor Speedway in May 2016 along with a $200 shopping spree at the JR Nation Retail Store. Due to restrictions on non-profit raffles, residents from the following states are excluded: Alabama (AL), the District of Columbia (DC), Hawaii (HI), South Carolina (SC) and Utah (UT). The raffle will be open to Kansas residents on July 1, 2015. Residents of Canada are also not eligible. Kyle Larson was released from CMC Charlotte Medical Center yesterday evening, after fainting during an autograph-signing session at Martinsville Speedway Saturday afternoon. The team did not disclose what caused Larson to lose consciousness, or what doctors learned from the battery of tests. 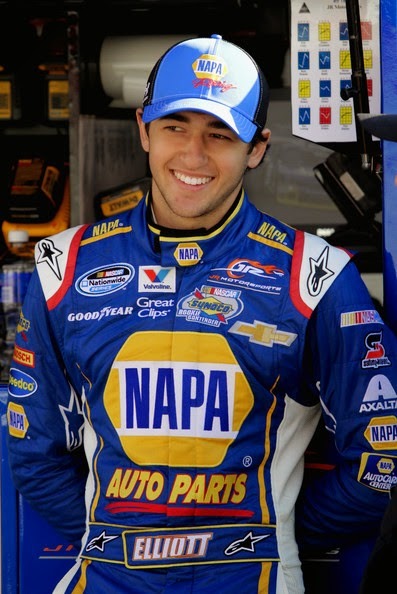 2014 NASCAR XFINITY Series Champion Chase Elliott joins NASCAR Sprint Cup Series driver David Ragan and Virginia’s own Timothy Peters as early headliners to race against host Denny Hamlin in the eighth-annual Denny Hamlin Short Track Showdown at South Boston Speedway on April 23. This 200-lap charity Late Model race showcases the best Late Model racers in the region against NASCAR counterparts with event proceeds benefiting the Denny Hamlin Foundation and its on-going support of Cystic Fibrosis research and treatment. The trio join three more Virginia stock car racing natives Hermie Sadler, Jeb Burton and Gray Gaulding, battling against 2014 Showdown winner Matt Bowling and CE Falk, who was the first Late Model winner of the Showdown in 2010 at Southside Speedway. For racing fans wanting to get up-close to the drivers, the first 25 fans to purchase a “Suite Package” priced at $200 will be invited to join the drivers in the infield for the drivers meeting and an exclusive meet and greet with select celebrity drivers that will include autograph signing. (All proceeds from the Suite Package will go to the Denny Hamlin Foundation). New for 2015, and an experience for the entire crowd to enjoy, Danville Toyota and Scion is sponsoring a fireworks show that will take place immediately following the 200-lap main event. Advance tickets to the Short Track Showdown are available by calling the track ticket hotline at 1-877-440-1540. A limited amount of the 1,100 advance-discounted tickets are still available for $20. After the first 1,100 advance tickets are sold, the price increases to $25. Children ages 6 and under are free with an Adult ticket purchase. Season passes are not honored for this special event. The “Suite package” costs $200 and includes a meet and greet, autograph signing, and an invitation to the driver’s meeting. For more information, visit the South Boston Speedway website at southbostonspeedway.com and dennyhamlinfoundation.org. NASCAR has issued Behavioral Penalties to five crew members for their actions during pre-race March 21 at Auto Club Speedway. The crew members were working for the No. 8 NASCAR XFINITY Series team when the violations occurred. Crew member Mark Armstrong has been fined $1,500, suspended from NASCAR until April 21 and placed on NASCAR probation through Dec. 31. Crew members Tyler Bullard, Nathaniel House, Jeremy Howard and Ryan Mulder have all been placed on NASCAR probation through Dec. 31. The No. 33 team that competes in the NASCAR Sprint Cup Series has been penalized for a rules infraction discovered during opening day inspection March 20 at Auto Club Speedway. A. Except in cases explicitly permitted in the NASCAR rules, installation of additional components and/or modifications of existing components to affect the aerodynamic properties of the vehicle will not be permitted, including but not limited to, safety systems, chassis and roll cage, suspension, steering systems, brake systems, heat shields, body fillers, body sealers, filler panels, drivetrain components and exhaust components. As a result of this violation, crew chief Slugger Labbe has been fined $50,000 and suspended for the next three NASCAR Sprint Cup Series Championship races, plus any non-championship races or special events which might occur during that time period. Labbe has also been placed on NASCAR probation through Dec. 31. In addition, car owner Joe Falk has been docked 25 championship car owner points. Daytona International Speedway kicked off another important milestone today as part of its $400 million DAYTONA Rising project. The first large individual section of the Sprint Tower was removed by a 490-foot Manitowoc 2250 Crawler Crane. All remaining sections will be removed and disassembled during the next 30 days. DAYTONA Rising is a $400 million reimagining of Daytona International Speedway. Five expanded and redesigned entrances, or “injectors,” will lead fans to a series of escalators and elevators, transporting them to three different concourse levels. Each level features spacious social areas, or “neighborhoods,” along the nearly mile-long frontstretch. 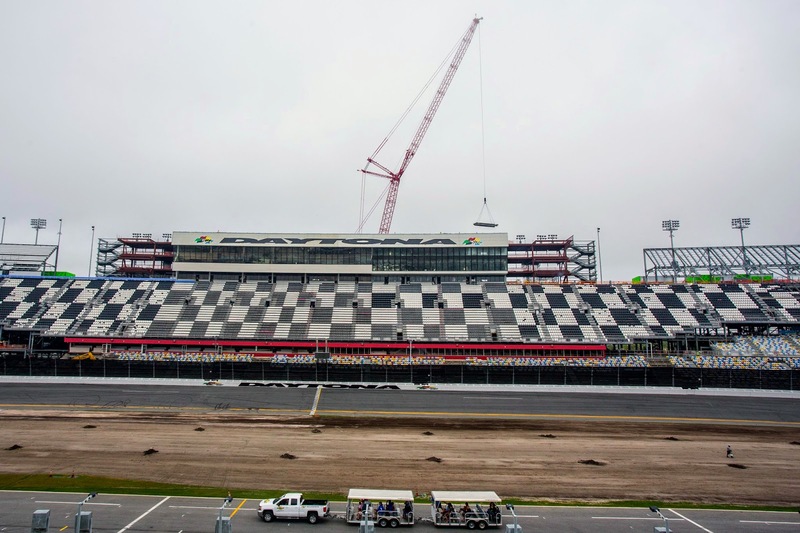 The project is expected to create 6,300 jobs, $300 million in labor income and over $80 million in tax revenue, will be completed in time for the 2016 Rolex 24 At Daytona and DAYTONA 500. Joe Gibbs Racing has announced that team president J.D. Gibbs is beginning treatment this week for an undisclosed condition impacting his speech and mental processing. The 46-year old son of team owner Joe Gibbs underwent tests recently after experiencing symptoms his doctors say are likely linked to a previous head injury. Gibbs enjoyed a brief career as a NASCAR driver, making 16 starts in what is now the NASCAR K&N Pro Series East, along with eight Camping World Truck and five XFINITY Series events in machinery owned by Joe Gibbs Racing. He also played High School and college football – playing defensive back and quarterback at Virginia’s College of William & Mary from 1987 to 1990 -- as well as participating in mountain biking and snowboarding. No specific injury has been cited as the cause of his condition. 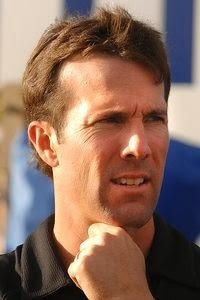 Gibbs has been instrumental in the operation of JGR since the team was founded in 1992. He will undergo additional testing and treatment in the coming weeks, while continuing to work at JGR's Huntersville, North Carolina, facility. He is expected to reduce his at-track involvement with the team. NASCAR chairman and CEO Brian France commented on today's announcement, saying, “All members of the NASCAR and France family extend our thoughts and prayers to J.D. Gibbs and his loved ones. We've all watched J.D. grow up within our community, and he always has represented himself, his family, the entire Joe Gibbs Racing organization and NASCAR with the utmost professionalism, enthusiasm and energy. We wish him the best during this time and eagerly anticipate his recovery." 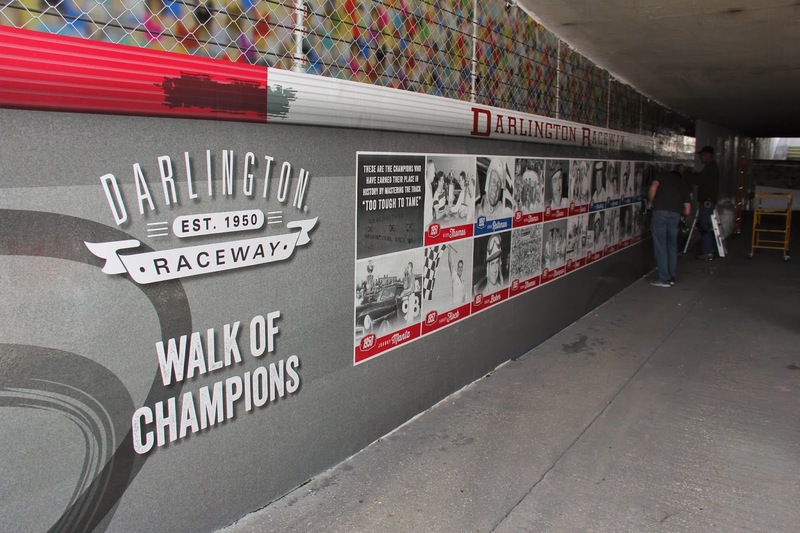 In advance of the Bojangles’ Southern 500 on Labor Day weekend, Darlington Raceway will honor its champions and rich history with unique branding projects in its Turn 3 vehicle and Turn 1 pedestrian tunnels. The Turn 3 vehicle tunnel will feature a collage of timeless moments that define Darlington Raceway as a treasured sports icon. Both sides of the vehicle tunnel will feature iconic moments from each decade of the track’s history. The graphics will stand at 9 feet tall and be 225 feet wide, starting with the 1950’s thru 1980’s on one side and the 1990’s looking into the future on the other. The Turn 1 pedestrian tunnel will honor each of the 111 individual NASCAR premier series race winners since 1950 at the track Too Tough to Tame. Kevin Harvick, the 2014 NASCAR Sprint Cup Series Bojangles’ Southern 500 champion, will unveil his spot on the “Walk of Champions” as the previous year’s Darlington race winner, which will occur annually on race weekend. Installation is already underway with the artwork scheduled to be completed by the beginning of April, weather permitting. Making the tunnel projects come to life was a collaborative effort by the track, its parent company International Speedway Corporation, B2B Media Inc. of Greenville, S.C. and Motorsports Designs. The NASCAR Sprint Cup Series Bojangles’ Southern 500 is set for Sunday, Sept. 6, 2015. The NASCAR XFINITY Series VFW Sport Clips Help A Hero 200 will race on Saturday, Sept. 5. Tickets are on sale now by calling 866-459-7223 or visiting www.DarlingtonRaceway.com. Each month during the racing season, The Century Poll asks members of the NASCAR community a question based on NASCAR racing, then compiles the results in an effort to determine what racing insiders think about that month’s topic, issue or compelling question. The voting panel for The Century Poll is made up of 100 voters -- 50 from the NASCAR media corps and 50 from the NASCAR garage, consisting of team owners, drivers, crew chiefs, crew members, sponsor/public relations/manufacturing representatives and track officials. March’s question was: After running three distinct track lengths so far this season – one-mile (Phoenix), one-and-a-half mile (Atlanta and Las Vegas) and two-mile (Fontana) -- what early-season grade would you give the 2015 Sprint Cup rules package? The voters gave solid marks across the board, with the garage panel giving a slightly higher grade than the media; with an average difference of just 0.16. While both constituencies gave three As and one D each, the major difference came in the middle of the curve. While garage members gave six more B-plus grades than media members, the latter group awarded three more Bs and seven more B-minuses. Of those that added a comment, three statements rang through. (1) NASCAR should be applauded for making moves to improve racing. (2) While there has not been a big difference in the racing so far, the more teams work with this package the better the racing will get. (3) The in-car track bar adjuster has been a positive addition. Richard Petty Motorsports completed NASCAR’s three-race West Coast swing Sunday at the Auto Club Speedway in Fontana, California. 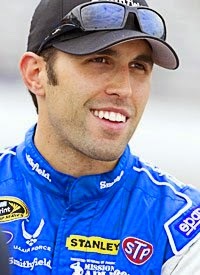 After an 11th-place finish, Aric Almirola and the No. 43 Smithfield Ford team are now ranked 10th in the NASCAR Sprint Cup Series championship points after five races. That standing for the No. 43 team is the best since Paul Menard led RPM to ninth place in points after five races in 2010. Since that time, RPM has debuted a new ownership group and moved into a new building with the capability to work on its own bodies. "We are controlling a little bit of our own destiny and we have seen some positive results early in the season," said Sammy Johns, Director of Competition. "We have a lot more work to do, and we need to get the '9' team higher in points, but we're encouraged with the direction and momentum early in the year." While Almirola is off to the best of his Sprint Cup Series career, he also knows there is room for improvement. "We are not where we want to be, but we're making the most of our races and getting the best finishes possible," he said. "We all know we have room to improve, but I'm proud of the effort our team is putting in each Sunday to get good results so far." Sam Hornish Jr. and the No. 9 Ford team haven't had the racing luck they have hoped for to start the season, but they know that it won't take a lot to turn their season around. "We know that we can turn this around pretty quickly," said Hornish Jr. "Our team has great guys and we just need to keep our heads down. If we do that, the results will come." RPM now heads to the Martinsville (Va.) Speedway where they have six Top-10 and two Top-5 finishes. Daytona International Speedway began removing the backstretch grandstand today as part of the DAYTONA Rising redevelopment project. The full removal process will be completed later this year. By moving all seating to the frontstretch, fans will have the opportunity to enjoy a full race day experience including pre-race ceremonies, pit road action and the facility’s new amenities. Beginning in January of 2016, Daytona International Speedway will feature approximately 101,000 permanent, wider and more comfortable seats. DAYTONA Rising is a $400 million reimaging of Daytona International Speedway. Five expanded and redesigned entrances, or “injectors,” will lead fans to a series of escalators and elevators, transporting them to three different concourse levels. Each level features spacious social areas, or “neighborhoods,” along the nearly mile-long frontstretch. At the conclusion of the redevelopment, Daytona International Speedway will also have twice as many restrooms and three times as many concession stands as its previous incarnation. In addition, the Speedway will feature over 60 luxury suites with track side views and a completely revamped hospitality experience for corporate guests. The project is expected to create 6,300 jobs, $300 million in labor income and over $80 million in tax revenue, and will be completed in time for the 2016 Rolex 24 At Daytona and DAYTONA 500. 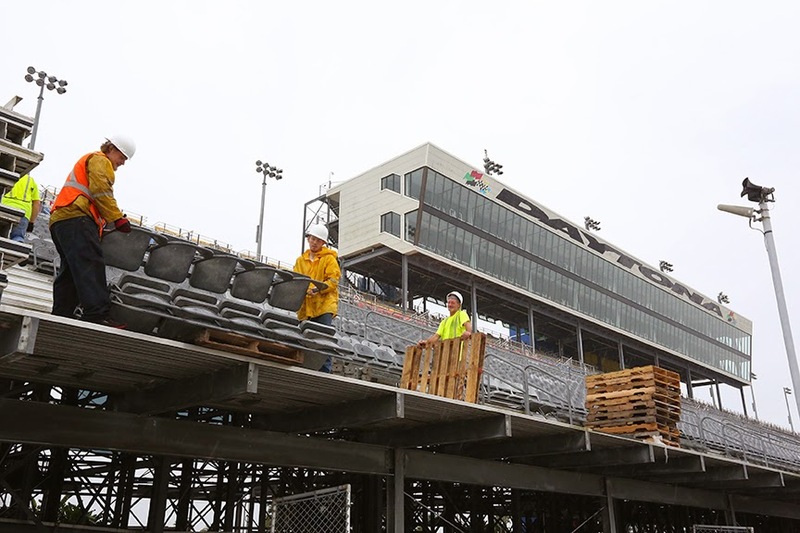 After a full track evaluation by NASCAR and International Speedway Corporation, Martinsville Speedway will add to its existing barrier system in advance of the STP 500 weekend March 27-29. Tire pack barriers will be installed on the inside wall at the end of the backstretch, prior to the entrance of pit road. NASCAR elected not to throw the caution flag yesterday when Greg Biffle crashed on the final lap of the Auto Club 400 in Fontana, California. Just a few weeks earlier, the sanctioning body threw a caution for Kyle Larson’s crash on the white-flag lap at Daytona International Speedway, allowing Joey Logano to win the Daytona 500 without being challenged down the stretch. What’s the difference? Well, there are lots of differences. And that’s the whole point. At Daytona, Larson spun out of the pack and slammed the inside retaining wall at an estimated speed of 130 mph. His car left the ground on impact and spun nearly 360 degrees in the air before landing in a smoking, twisted heap. Less than 24 hours after a similar crash left Kyle Busch with a compound fracture of his right leg, everyone in the house feared for Larson’s safety. In comparison, Biffle’s crash at ACS Sunday was downright pedestrian. He impacted the outside wall at a much lower speed, doing only moderate damage to his Roush Fenway Racing Ford. After a short period spent sitting on the track apron – with his fellow competitors long gone and far away – the Washington native simply re-fired his engine and drove away. With virtually no common ground between the two incidents, there was virtually no reason for NASCAR to react identically. In fact, Biffle’s crash bore more resemblance to a spin by David Ragan on Lap 24 of Sunday’s race, when NASCAR elected to throw the caution flag. Why? Because the old saying is true. A caution on Lap 24 doesn’t usually impact the outcome of a race. Yesterday’s Lap 24 stoppage didn’t change anything. Unfurling the caution on the final lap, however, would have robbed race fans of the exciting finish they paid to see. It’s like ordering Linda Vaughn through the mail and having Phyllis Diller delivered. Believe it or not, NASCAR officials are people, too. Like the rest of us, they prefer to see a green-flag finish, whenever safety reasonably allows one to occur. Sunday, with Biffle fired up and rolling more than a mile ahead of the leaders, NASCAR had no real reason to throw the caution flag. Biffle was clearly uninjured, and the officials in the flagstand – almost directly above the scene of the crash – were able to confirm a clear, debris-free race track. NASCAR allowed the racers to do what they do best Sunday, and the results were eminently satisfying. Especially if you’re a Brad Keselowski fan. Why does NASCAR insist on making late-race rulings on a case-by-case basis? Simply because every case in different. NASCAR fans – some of them, at least – seem to crave consistency above all else. They want the sanctioning body to make the exact same call, every single time, despite the fact that no two incidents are ever completely alike. If NASCAR is forced to cast aside common sense and make every ruling the same way, fans will be forced to accept yellow-flag finishes on a much more frequent basis. Based on the level of unhappiness that followed this year’s Daytona 500, most fans will not welcome that change. 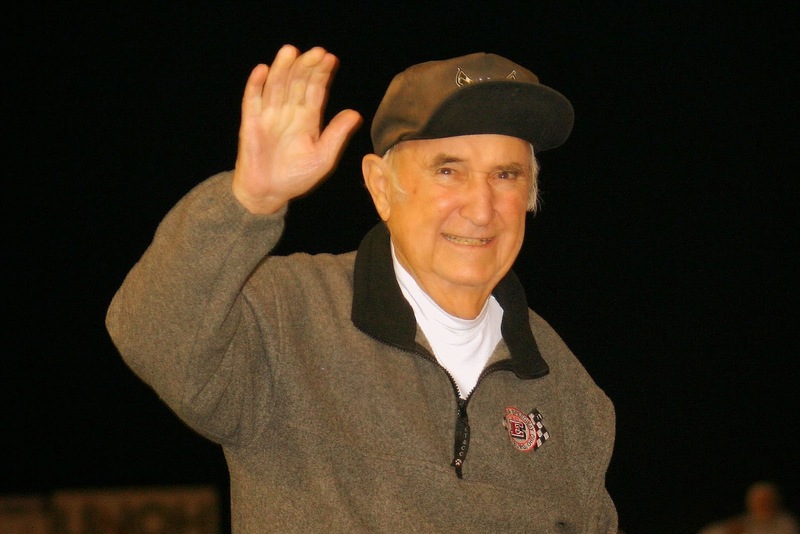 Earl Baltes, the founder and longtime promoter of Eldora Speedway in Rossburg, Ohio, passed away this morning at Miami Valley Hospital in Dayton, Ohio at the age of 93. Baltes is survived by his wife of 67 years, Berneice; daughter Starr and her husband, Joe Schmitmeyer; son Terry and his wife, Dee; one sister, Susie Barga, six grandchildren and 12 great-grandchildren. Born in Versailles, Ohio, Baltes served in the U.S. Army during World War II. Before getting his start in racing, he was heavily involved in the music business. Prior to WWII, he formed and led the Melody Makers, a 16-piece band that rose to regional prominence. In the late 1940s, he built and operated the Crystal Ballroom near Versailles, while still continuing to perform. He eventually purchased the Ma Shoe’s Dance Hall, and one day attended an auto race at the nearby New Bremen Speedway. Despite having no prior knowledge of the sport, Baltes decided to build a track of his own in the natural amphitheatre that separated his dance hall from the Wabash River. The Dance Hall -- now known as the Eldora Ballroom -- is still there, while the racetrack has grown into a national treasure. Baltes built Eldora in 1954 as a quarter-mile dirt oval, before reshaping the track into its current high-banked, half-mile oval configuration in 1958. Since then, it has become the premier dirt track in the United States. Under Baltes, the facility hosted the highly successful World 100 for dirt Late Models, now the largest dirt race in the world. He also created the Dirt Late Model Dream, the richest dirt Late Model race in the world. 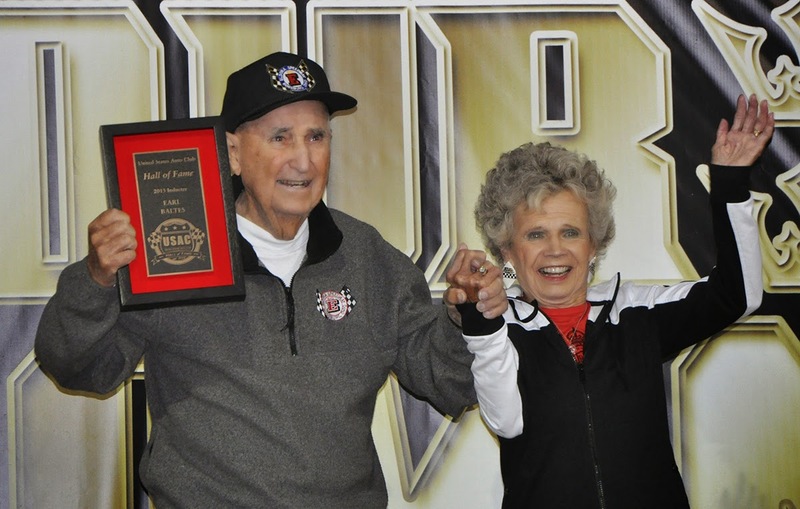 A fan of Sprint Car racing, Baltes took great pride in his fabled Kings Royal Weekend for World of Outlaws Sprint Cars and many United States Auto Club (USAC) events, including the Four Crown Nationals. Races at Eldora were shown on ABC’s “Wide World of Sports” with Keith Jackson and Al Michaels as broadcasters. ESPN, CBS and TNN also televised events that helped put Eldora on the map. Despite the track’s growing popularity, Baltes kept ticket prices affordable and concessions costs low, which continued to attract fans from around the world. Baltes built the track, nestled in rural west-central Ohio off Route 118, into a showplace for dirt motorsports, increasing the seating capacity to more than 20,000. He was beloved by many fans and seemed to know everyone by name. He also was a great storyteller, who always had a joke to tell. Fond of saying, “If we could sell just one more hot dog, we’d break even,” Baltes also promoted other speedways in Ohio, including Dayton, New Bremen, Limaland, Millstream, Mansfield, Pleasant Hill and Powell, while also promoting one in Salem, Indiana. He promoted World of Outlaws events in Florida and founded Ohio Sprint Speedweek for the All Star Circuit of Champions. A steady stream of innovative (and often wild) ideas kept observers wondering, “What will Earl do next?” He hosted a trio of 500-lap Sprint Car races in the 1960s that featured 33 cars in each event. He also presented a season-long series of skits featuring a family of apes, who eventually were married in a ceremony presided over by legendary driver Duane “Pancho” Carter. In 2001, Baltes posted a remarkable $1 million payout to the winner of the “Eldora Million” Dirt Late Model race. He followed that with the “Mopar Million” in 2003, which had a purse of $1 million and paid $200,000 to the winner of a non-winged Sprint Car race. The legendary promoter developed a relationship with the late Bill France Sr., assisting the founder of NASCAR with recruiting cars for the inaugural event at Talladega Superspeedway. Baltes and Eldora also maintained close ties with the Indianapolis Motor Speedway. Indy Car legends, whose barnstorming schedules at fearsome tracks like Eldora earned them their shot at the Brickyard, and Tony George, former Speedway president and CEO, were frequent visitors during Baltes’ tenure. 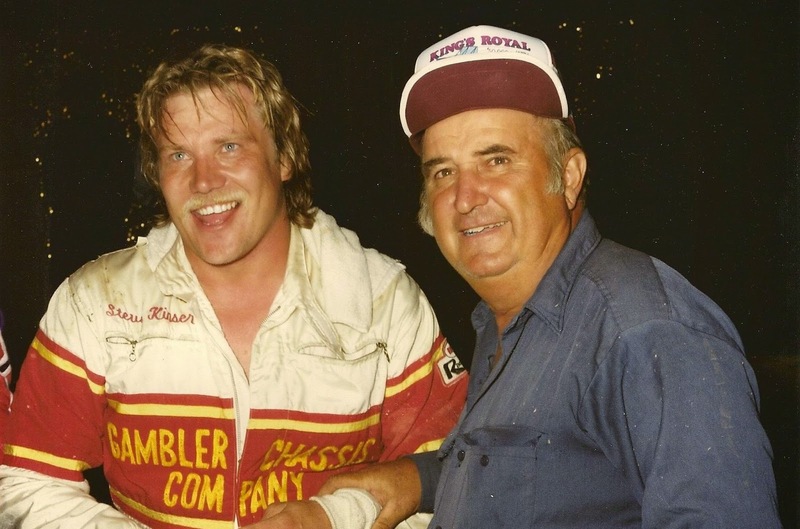 He was inducted into many Halls of Fame, including National Sprint Car, National Dirt Late Model, USAC, Dayton Auto Racing Fans and Hoosier Auto Racing Fans, and was named USAC Race Organizer of the Year in 1984 and 1997. He was named Auto Racing Promoter of the Year in 1993, and fellow iconic promoter H.A. “Humpy” Wheeler recognized him with the Charlotte Motor Speedway Promoter of the Year Award in 2001. The state of Ohio named Route 118 “Earl Baltes Highway” from Ansonia to the south to St. Henry to the north. 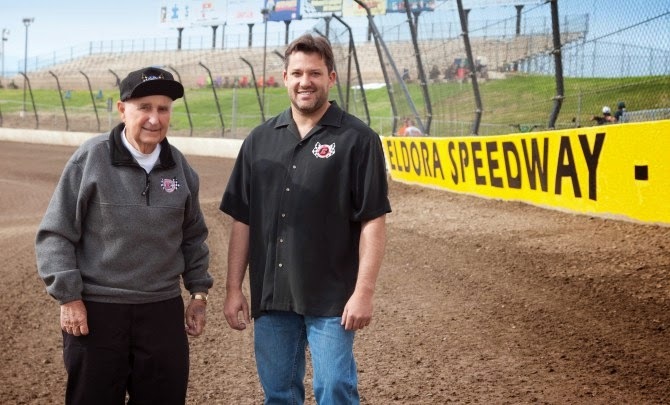 In 2004, Baltes sold his legendary Eldora oval to three-time NASCAR Sprint Cup Series champion -- and former Eldora driver -- Tony Stewart. He continued attending Eldora events with Berneice, often receiving the loudest ovation of the evening when introduced to the crowd. Thanks to Stewart, there is a life-size statue of the two founders at the entrance of the facility. Baltes and author Dave Argabright published his autobiography, “Earl!” in 2004. Chris Buescher will make his NASCAR Sprint Cup Series debut this weekend at Auto Club Speedway, driving the No. 34 Dockside Logistics Ford Fusion for Front Row Motorsports. 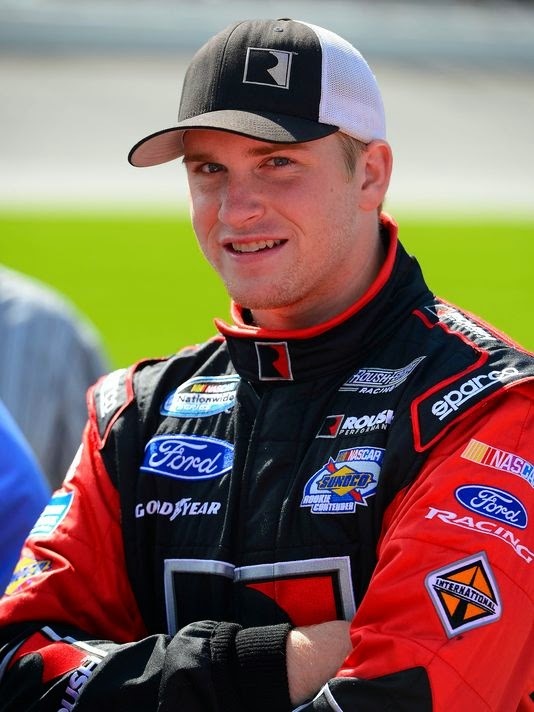 Buescher replaces Brett Moffitt, who has returned to Michael Waltrip Racing in place of the ailing Brian Vickers. Buescher called the last few hours, “very hectic. 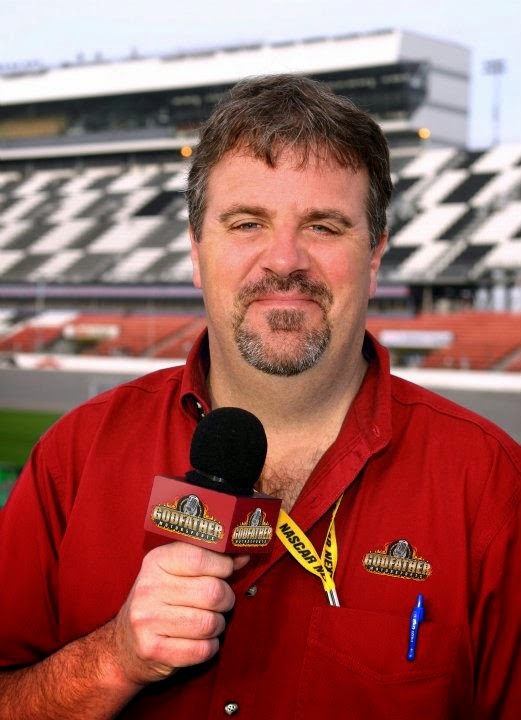 I was actually getting breakfast over by the hotel and (Roush Fenway Racing General Manager) Robbie Reiser called me. It’s similar to the way my first XFINITY race went down. I was getting ready for an ARCA race, got the call and was rushed to Richmond, so it’s been wild. Buescher said his most immediate concern is getting a seat fitted to the No. 34 Ford. He admitted that pulling double duty in both the XFINITY and Sprint Cup ranks at Auto Club Speedway will be complicated. 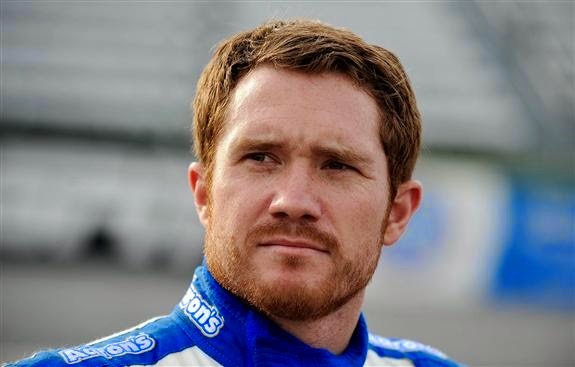 Brian Vickers will not compete in the No. 55 Toyota for Michael Waltrip Racing Sunday, after informing the team today that he has experienced a reoccurrence of blood clots that will require him to once again begin taking blood-thinning medication. The 31-year old Vickers missed the first two races of the season while recovering from heart surgery in December, and has previously been sidelined twice by blood clots in his hands, leg and lungs. Waltrip tabbed youngster Brett Moffitt to replace Vickers this weekend at Auto Club Speedway in Fontana, California, saying, “We are fortunate to have Brett Moffitt in our system. (We) marveled at his great drive in Atlanta three weeks ago, so we know he can get the job done in the No. 55 this weekend. Vickers also commented on his latest medical setback, saying, “Thankfully, because I recognized the signs and symptoms, the doctors caught this early and I’m going to be OK. I had finished treatment for the clot I had in my leg back in 2013 and I haven’t needed to be on a blood thinner for a clot in my leg or lung since. “Now, I won’t be able to race because I’ll need to be back on a blood thinner. I’m going to follow doctor’s orders and do everything I need to do to get well. Waltrip said there is presently no timeline for Vickers’ return, adding, “He is more susceptible to clots than you and I are, and we knew that could be an issue. Are we surprised? Yes. Talladega Superspeedway Chairman Grant Lynch spoke today on planned safety initiatives at the Alabama speed plant. “Following an extensive track review with International Speedway Corporation, NASCAR and ARCA, Talladega Superspeedway will add SAFER Barrier to its existing barrier system in advance of the May 1-3 NASCAR weekend,” said Lynch in a written statement. “The new SAFER barrier will be placed in three locations along the inside wall at entrances to pit road, Turn One and Turn Three. Talladega Superspeedway will continue to review its safety initiatives and provide updates as circumstances warrant. NASCAR return to Talladega May 1-3 for the GEICO 500 NASCAR Sprint Cup Series race and Winn-Dixie 300 NASCAR XFINITY event. 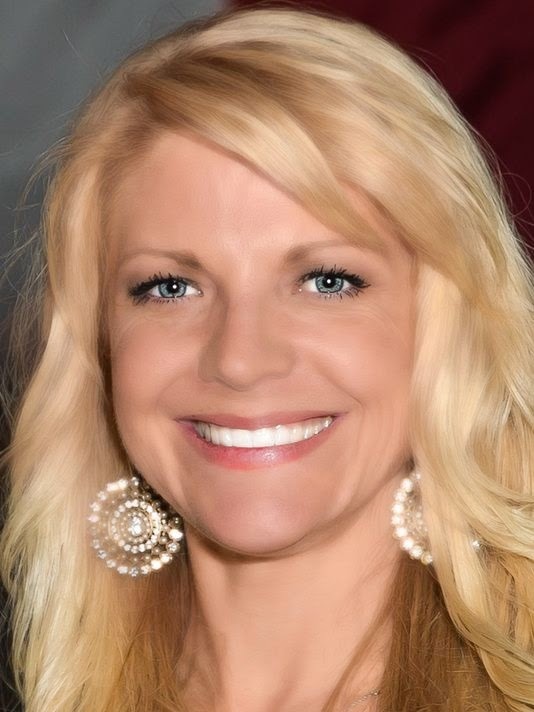 Patricia Driscoll published an opinion piece in USA Today Thursday, in which she repeated her now-familiar assertion that she was a victim of domestic assault at the hands of NASCAR driver Kurt Busch last September at Dover International Speedway. Today’s column broke no new ground, instead rehashing allegations and details that long ago became familiar to NASCAR fans and followers of the case. Instead, she chastised “uninformed observers” for disparaging her honesty, integrity and motivations. She criticized the tabloid media for “playing up the most sensationalist aspects” of the case, conveniently ignoring the fact that the sensationalist information –every bit of it -- has come from Driscoll, Busch or their respective attorneys. In Driscoll’s latest media missive, she poses a number of questions that readers of USA Today are ill-equipped to answer. Driscoll continues to air her dirty laundry in public, all while pointedly referring to both Busch and NASCAR by name as often as possible. If she indeed has no interest in destroying Busch’s driving career -- and she steadfastly insists that she does not – the best way to demonstrate that fact would be to move on, settle their differences behind closed doors and put an immediate stop to the public posturing. Whether you like Patricia Driscoll or not – and there are plenty of folks on either side of that question – her intelligence is beyond debate. She serves as CEO of a multi-million dollar, Washington DC-based surveillance systems corporation that supplies the United States military, and also heads the considerable fundraising efforts of the Armed Forces Foundation. Ms. Driscoll is justifiably proud of her accomplishments as a businesswoman, philanthropist and advocate for our men and women in uniform. She also takes great pride in raising a son who is – by all indications – an intelligent, compassionate young man. A woman of her intelligence must surely understand that while continuing to bang the drum against Busch tarnishes his already battered image, it also does the same to hers. She has every right to state her case – over and over again – for as long as she chooses to do so, regurgitating the same allegations and making the same points. The legal system, however, has said its piece, and no amount of editorializing is going to change its decision. The importance of that lesson is clear to all of us. Unfortunately, that lesson is not best taught in the pages of USA Today. Driscoll's Attorney Says Ruling "Changes Nothing"
Busch Says "The Truth Got Out"